It Figures! 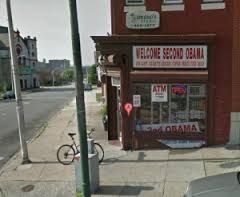 Obama Express Store Owner Charged With Food Stamp Fraud. A store bearing the name of the food stamp President engaged in food stamp fraud? Come to think of it, that actually seems pretty plausible. A federal grand jury indicted nine retail store owners in Baltimore City and Baltimore County for ‘food stamp trafficking.’Court papers said the retailers redeemed the food stamps for cash and split the money with food stamp recipients. The amounts totaled about $7 million. According to investigators, the retailers did not provide any food. …The suspects are all facing up to 20 years in prison if found guilty.